A teaching resource pack with audio CD in three parts providing a series of modules containing lesson plans to cover one year at nursery / reception. 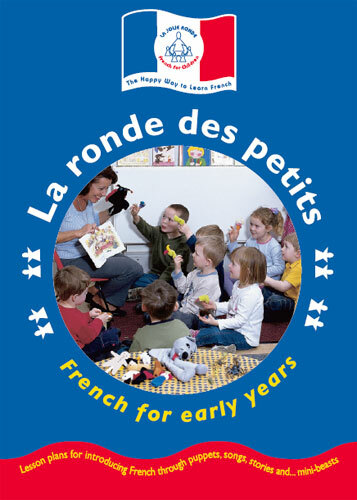 French is introduced through puppets, songs, stories and.....mini-beasts! Part 1 - two puppets introduce simple nouns, verbs, colours and counting. Part 2 - offers lessons around French story books. Part 3 - introduces mini-beasts, songs, finger rhymes and games. Includes photocopiable templates and activity sheets, so helping to keep preparation time to a minimum. It is tried and tested - a valuable resource at an affordable price! This pack is great for beginners in Early Years classes (age 3+).